South Kesteven has a thriving arts culture with five theatres, two Arts Centres as well as a range of events venues and facilities to hire. Renowned festivals take place each year. 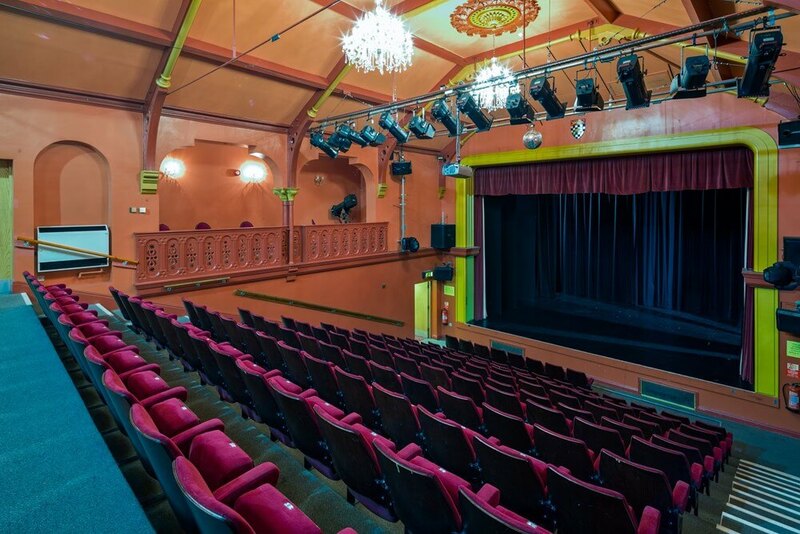 Grantham’s Guildhall Arts Centre is alive with theatre, music, dance and workshops – set in a stunning Victorian building. Grantham also has a modern multi-screen cinema with all the latest releases and a state of the arts Meres leisure centre which is also a venue for major touring concerts. Stamford Arts Centre is a multi-purpose venue with cinema, theatre, art gallery and concert hall. Both centres house a popular café and Tourist Information Centre. The Stamford Shakespeare Company performs at Tolethorpe Hall, Stamford with open air theatre productions every summer. Stamford Corn Exchange is a 400 seat theatre with a variety of shows and Bourne Corn Exchange is a venue with concerts, events and a large hire facility. Major festivals feature each September, alternating between Stamford & Grantham each year. In Grantham, the Gravity Fields Festival is a unique event creatively exploring the physical sciences through science, arts and heritage events and celebrates the area’s close links with one of the world’s greatest thinkers, Sir Isaac Newton. In Stamford, the Georgian Festival is packed full of Street theatre, colourful markets, celebrity speakers, Georgian science and carriage rides, outdoor entertainment and a celebration of the Stamford Bull Run- a weekend not to be missed!